We moved from the center of Granada to a house outside of town. The kids&apos; favorite part of the move was that the rental house came with two dogs! The kids were delighted that the dogs were "free" and couldn&apos;t believe that someone wouldn&apos;t charge extra for the dogs. 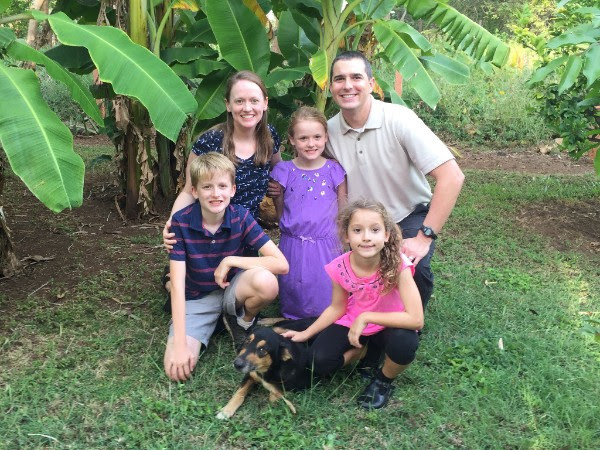 Unfortunately, Tropical Storm Nate was too much for the older dog, Naron, and he passed away shortly after the storm. But the kids enjoy their time with Caramela! 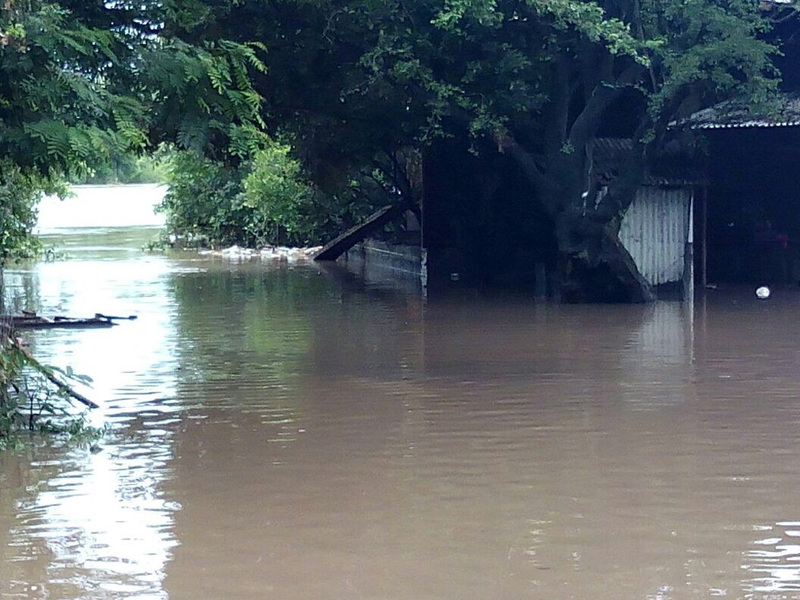 After Tropical Storm Nate passed through, the area continued to suffer from dramatic rainfalls. 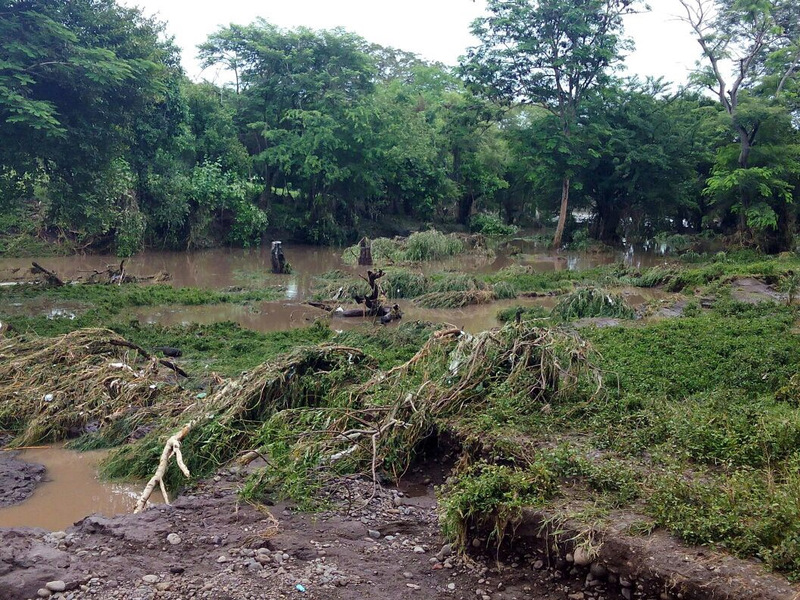 One community, Tabacal, located near the Malacatoya river, was especially hard hit, with many families losing everything. 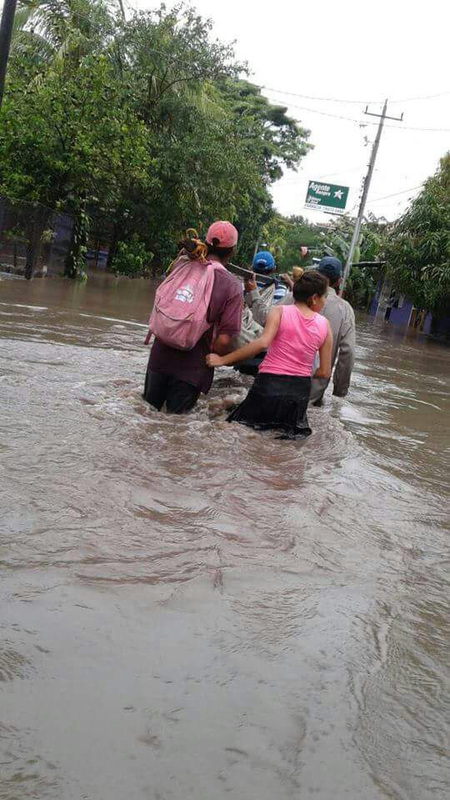 We helped organize the area churches and delivered food, dry clothing, basic hygiene items, mattresses, etc. While these communities are still recovering, the people continue to maintain gratitude for the blessings they do have. 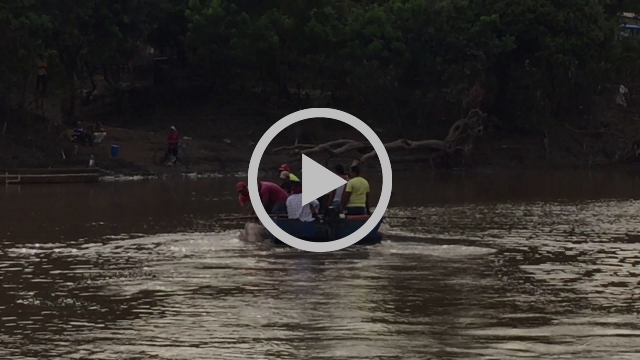 The first crossing into the flood zone was via a diesel powered "raft." 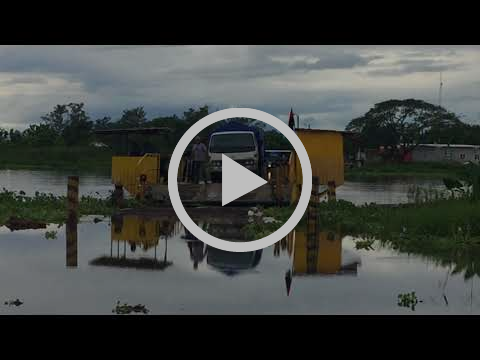 Click on the video to see the truck loaded with relief supplies make its way across. The limited access into this area exacerbates the poverty. The government has begun a project to build a bridge, but progress is slow. 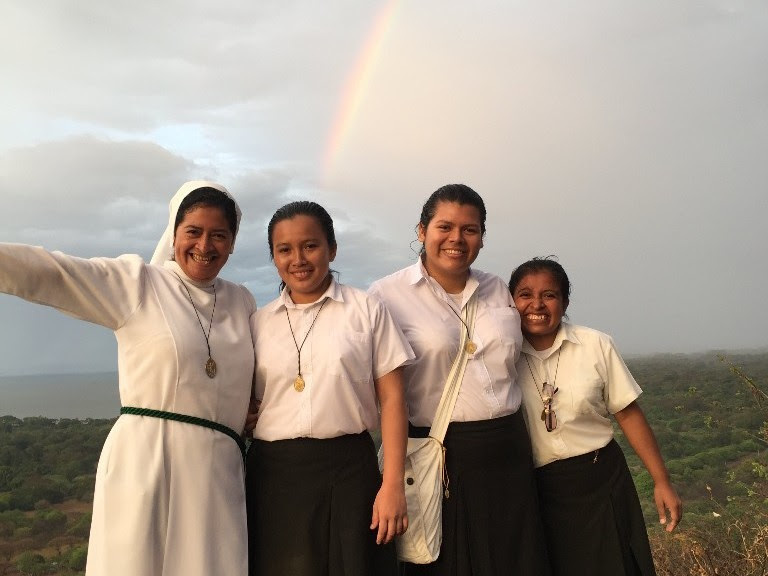 Here in Nicaragua, there are many thriving communities of Religious Sisters with whom we work. As you can see in the two photos above, they radiate a joy that is contagious, a joy centered on their journey with Christ. We are blessed to know and work with them. 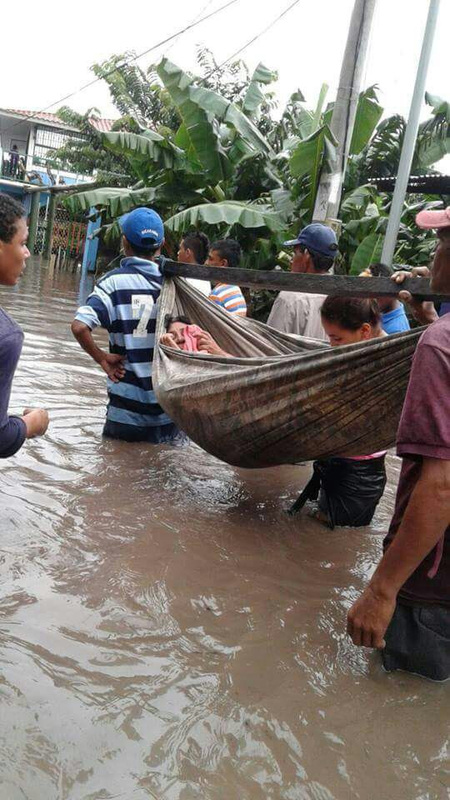 In the photo above and to the left, we cross a flooded roadway by boat to deliver aid to the flood victims. 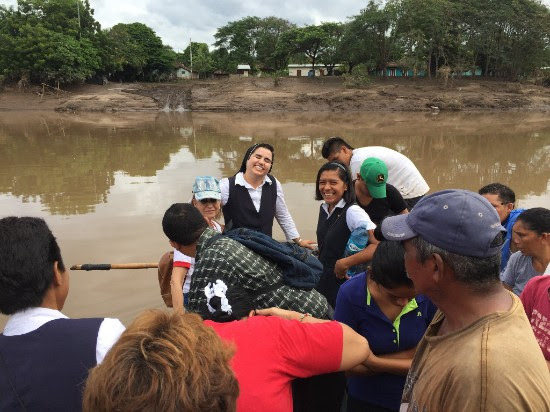 We also brought an eye doctor out to the flooded communities to do eye exams and fit glasses. One of the highlights was finding a young lady who was overjoyed to receive our daughter Rachel&apos;s old pair of Transitions eyeglasses. She was astounded to see how they changed from glasses to sunglasses. 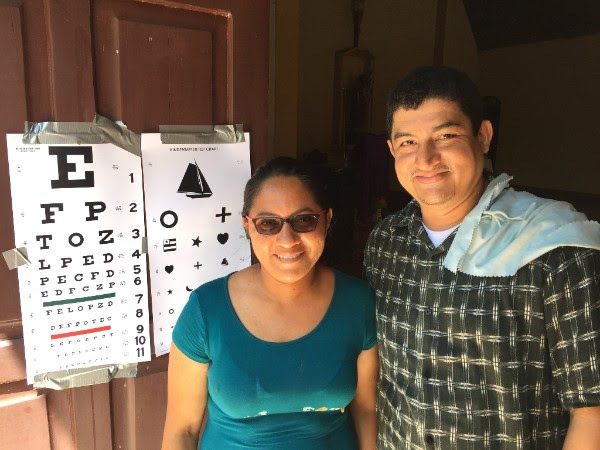 She is pictured above with our traveling optometrist. And the best part was to see her about a month later at a regional get together - she had joined the outreach group at her church in order to organize similar projects for the benefit of others! We recently cleaned out an old church storage shed and drove a truckload of trash to the dump. As you get close, the smell begins to overwhelm you as you drive towards the mound of trash on the horizon with cattle and pigs grazing on top of it. And as you pull into the dump, the competition begins. Hoards of people are waving you into "their area" of the landfill, so that they can get first dibs on whatever you have on board. We had some old plastic bottles tucked into the side of the truck and a race ensued between two young men to grab those. A kilogram of plastic fetches almost a nickel. We had thrown damp gardening clippings on top of some old papers from the storage shed. Candida, the woman pictured above with the hat, grabbed the stack of wet documents and began to separate them out, placing each one individually under a rock in the sun. She knows someone who will pay 3 cents per pound of paper, provided it is clean and dry. I don&apos;t know why paper is priced by the pound and plastic by the kilo, but that&apos;s how it is. We chatted awhile and agreed that next time we will try to keep the paper dry for her. 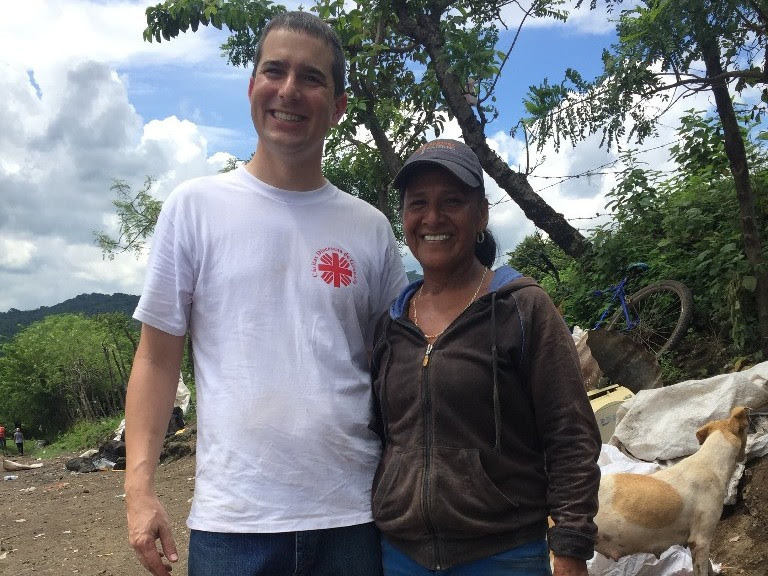 Despite spending most of her time sorting in the dump, she was very upbeat and gave thanks to God that she had found a way to provide for her family. She says that on a good day, she can make over $2.00 a day. 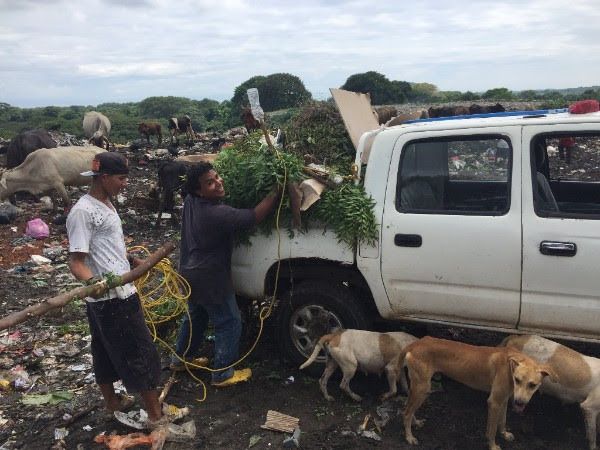 Each time I drive past the dump, I think of her and the countless others working the piles, and try to be grateful for each day with both its joys and challenges. My dad and I rode our bikes to the trash place by our house. I saw a horse that was right next to the hole, and then I went a little closer and saw two boys in the trash looking for stuff to sell. They were younger than me. But I had a trash bag with me, so I put the bag in the hole. I felt very sad for the little boys because they didn&apos;t have any money to buy stuff. They were alone in the hole without their parents. Then we rode back home. We have remained in touch with the community in Nandaime where we hosted a medical mission from College Station last June. 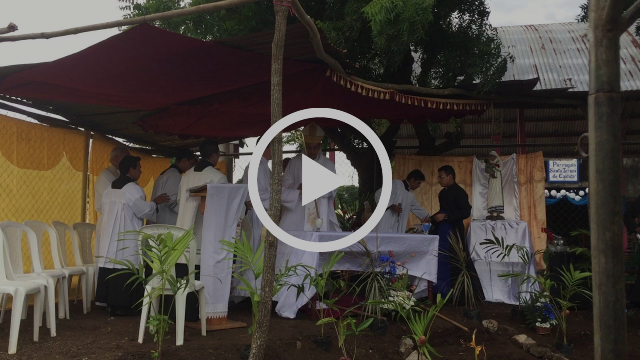 We were delighted to be invited to their groundbreaking Mass, held outdoors at the site of their future church. Click on the video for a snippet of the opening hymn and to see the seminarian play the bass guitar in a full cassock. The kids have been studying music and singing in a couple of local choirs. 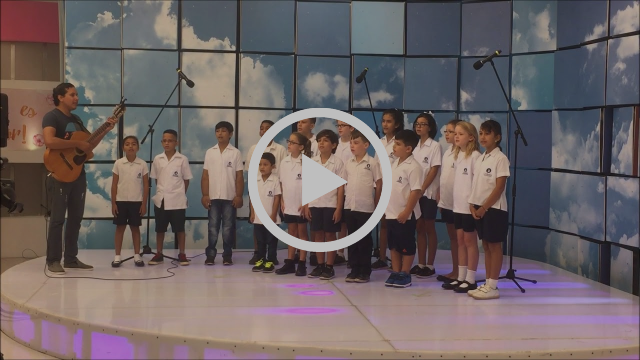 They were so proud to be selected to travel to Managua and perform live on a National Morning News Show. Click the video to hear a snippet of them singing, "Puro Pinolero." And on that "note", we wish you Feliz Navidad and all the best in 2018. As always, thank you for your prayers and friendship.